After more than 30 years of tasting a deliciously cooked dish of Yam Abacus Seed by one of my friends’ mother (who is a Hakka), I am amazed that the taste still lingers on… This shows how well this dish was being cooked!!! 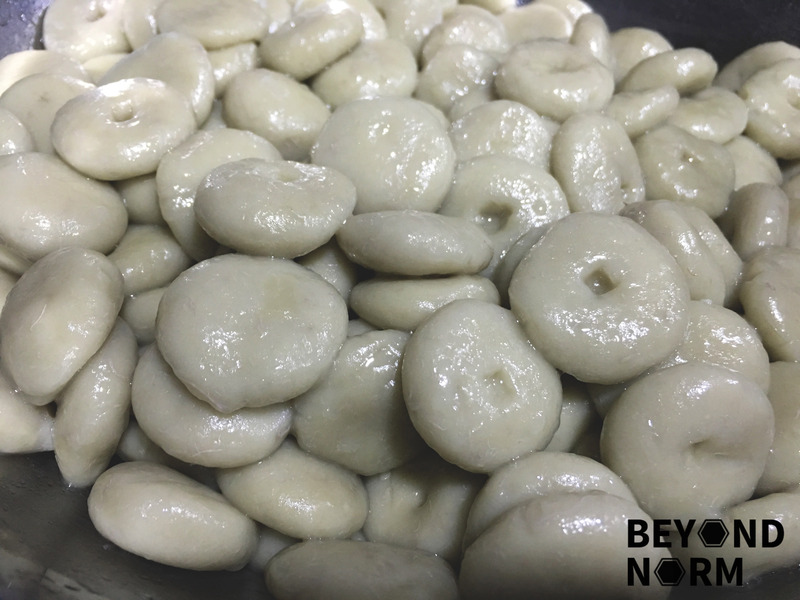 Yam Abacus Seed (算盘子) or yam gnocchi is a dish that is popularly served during the Chinese New Year, especially amongst the Hakka people. 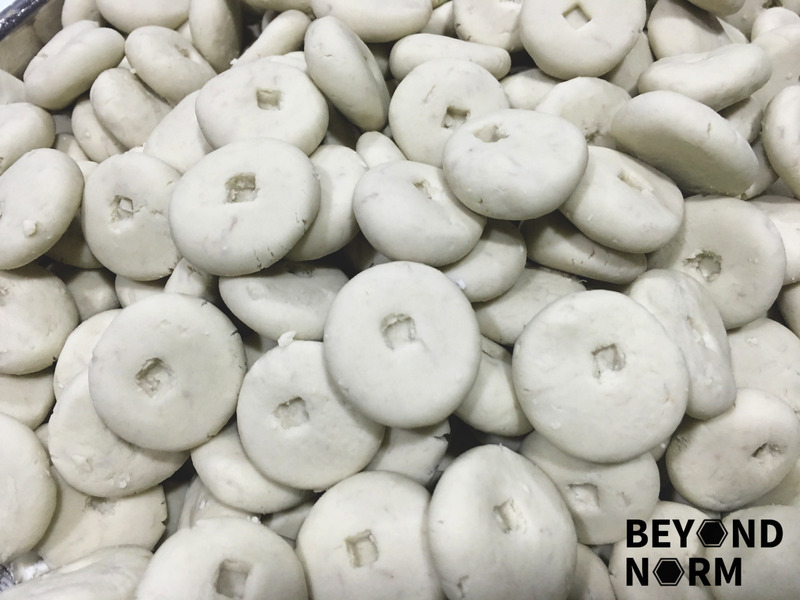 This dish has an auspicious meaning as they resemble the beads on an abacus, hence Abacus Seeds signify abundance of wealth and prosperity. This is a savoury dish that can be served as a main meal or as a snack. It has a soft texture on the outside, chewy on the inside and the taste of yam which is mixed with the aroma of other ingredients and condiments made this dish simply irresistible!! 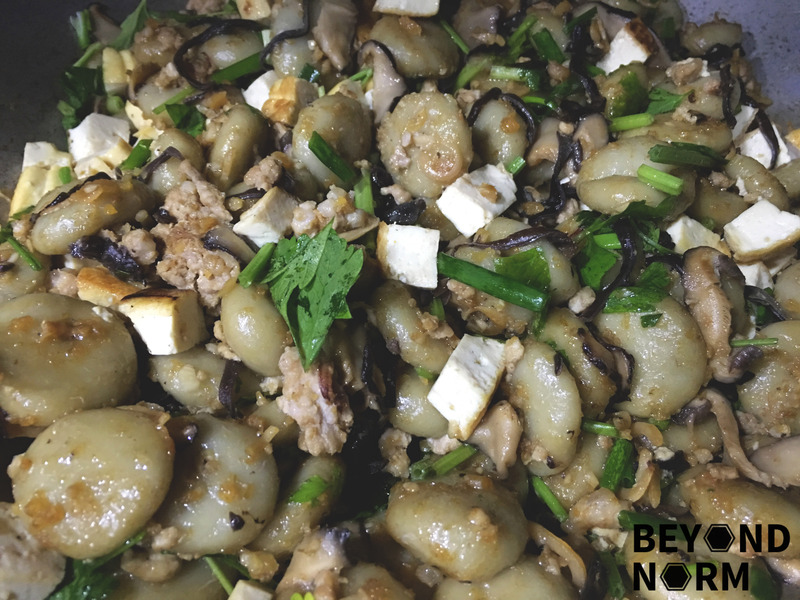 Remember that you need some hard work and patience here to make this dish but the end result is you will have a delectable dish to serve this Chinese New Year!! 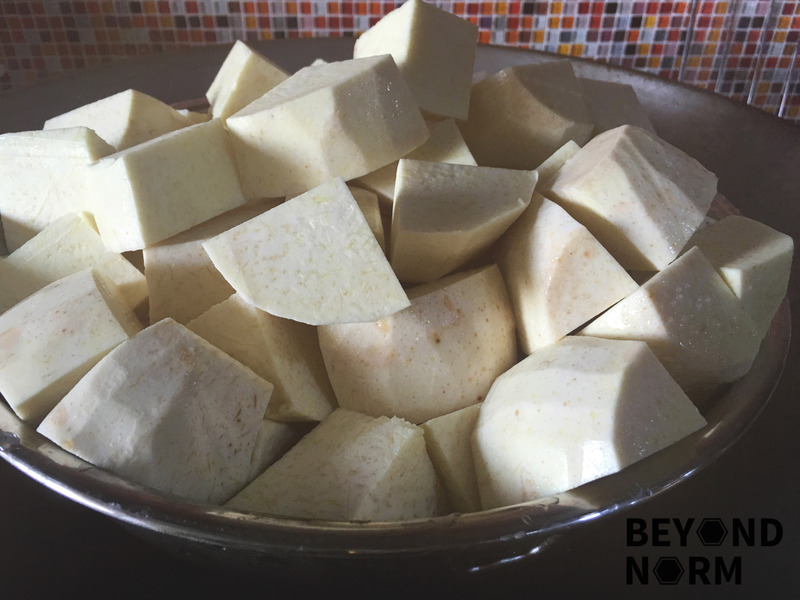 Skin, wash and cut the yam into cubes/slices. 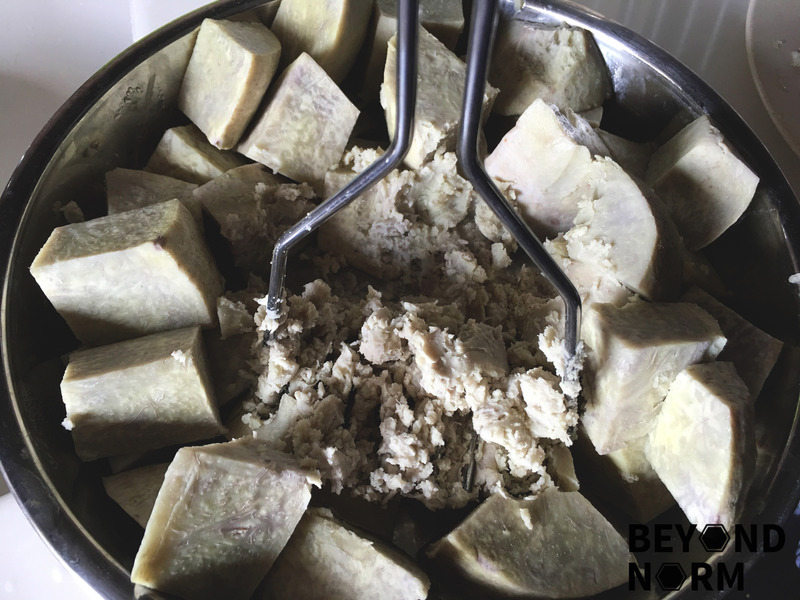 Steam the yam pieces for 15 to 20 minutes or until they are soft. Mash the yam with a potato masher or sturdy fork. Add in 250g of tapioca flour and mix with a spatula or spoon. Gradually add in the water and stir until crumbs are formed. 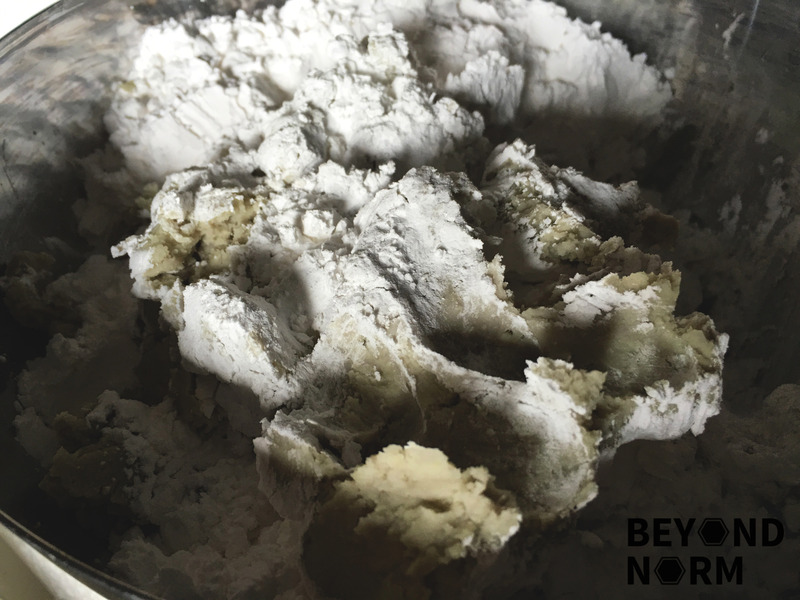 Knead till a smooth dough is formed and they do not stick to your hands. 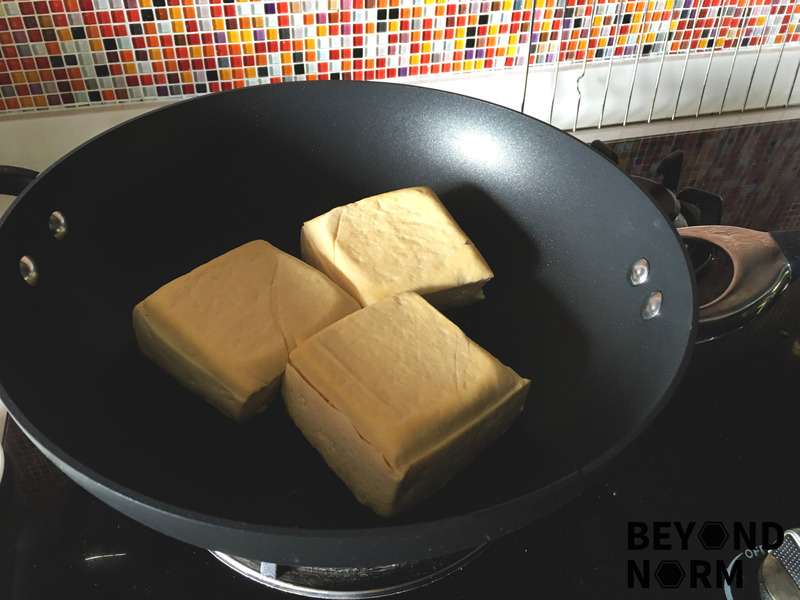 Divide dough into 5g portion. Either use a chopstick or your tiniest finger to make a dimple in the centre of each ball to resemble abacus beads. Stir to prevent them from sticking together. 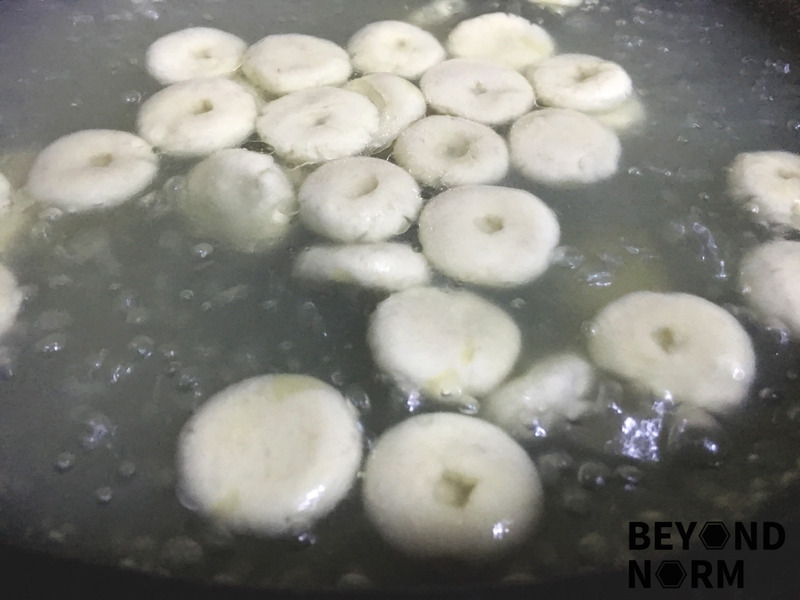 The seeds are cooked when they float to the surface of the water. Remove the cooked abacus seeds from the boiling water with a strainer and put them into the pot of iced water for 1–2minutes. Drain the abacus seeds with a colander. Drizzle some oil to coat the abacus seeds and prevent them from sticking to each other. Repeat Steps 12 to 17 till all the abacus seeds are cooked. Heat cooking oil in a wok on medium high heat. Add the garlic and mushrooms and stir fry till fragrant. Add dried shrimps and dried cuttlefish. Stir fry for 1 to 2 minutes until fragrant. Next, add in the minced pork and mix well. Before the pork is fully cooked through, add in the tofu, the black fungus and the yam abacus. Stir fry for another 2 to 3 minutes. Add Chinese cooking wine and seasoning to taste. Finally add the chopped Chinese celery and spring onion and give it a quick stir. Dish up and garnish with red chilli. Serve immediately.